Harvey Sand spent his career in the United States Army stationed in Japan. He served for his country from the years of 1952-53. Here, Harvey is pictured at the Port of Otoru on Nov. 2, 1952. 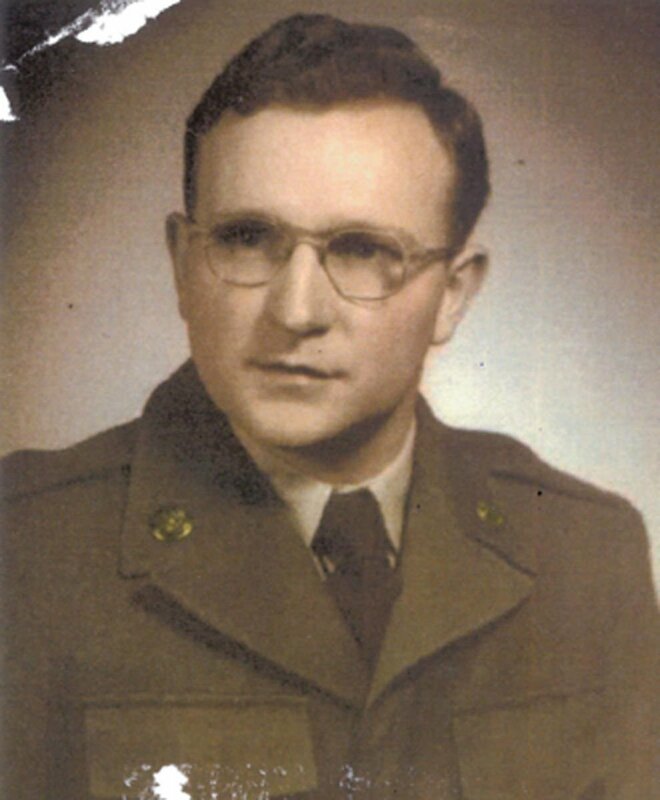 Pictured above in his Honor Guard uniform, Randoll Jahner was stationed in Verdun, France beginning in 1960; he was given the chance to play on the 39th Ordnance Company softball team while serving there. The team captured the 1961 Verdun Post softball league championship. Jahner was given the option of elective service in Vietnam, and considers himself fortunate to have served elsewhere. Lorena "Terry" Nelson stands beside husband Robert "Bob" Nelson. Terry served as a Lieutenant J. G. in the United States Coast Guard in the pay and supply division. Terry is also part of the North Dakota State Society WWII Veteran Members. She served from June 1943 to November 1945 when she and her husband were discharged at the same time. Terry's husband Robert "Bob" Nelson was also a veteran. He passed away in 2012. He graduated from Texas A&M in 1934 with a bachelor of science in mechanical engineering and from the ROTC Officer Training Program. He was awarded the rank of second lieutenant in the U.S. Army Corps. of Engineers Reserves. Mr. Nelson served in the Army 11 months prior to Pearl Harbor and then served in Australia and New Guinea. He returned to the U.S. and married Lorena Terry on June 23, 1945, in Alexandria, Va. They then moved to Fort Worth at the end of the war and Mr. Nelson was on inactive status in January 1946.